AUBURN, AL (WTVM) – Two people were arrested for trafficking drugs in Auburn, AL. The Auburn Police Division, with the assistance of the Lee County SWAT team and the US Marshal's Fugitive Task Force, executed a narcotics search warrant in the 300 block of Jones St. in Auburn, AL. 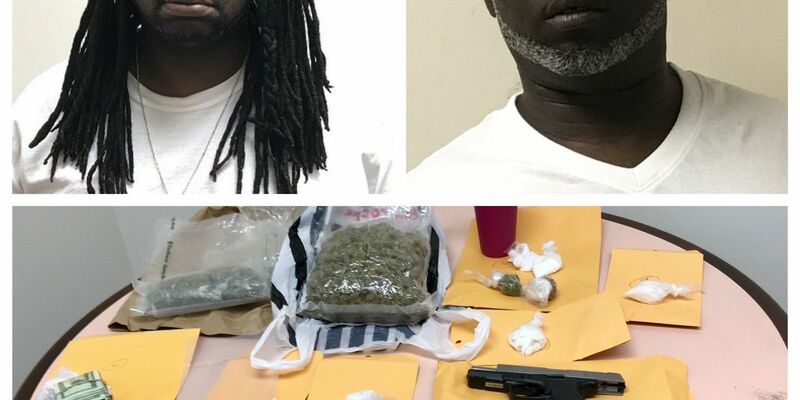 During the investigation, large quantities of "crack" cocaine and other forms of cocaine, marijuana, prescription pills, currency, and three firearms were located at the residence. Sawelia Lyrel Floyd, 41, from Auburn, was arrested and charged with trafficking crack cocaine, trafficking methamphetamine, manufacturing of a controlled substance, possession of marijuana in the first-degree, and certain persons forbidden to possess a firearm. Floyd was on State Parole as well as Federal Probation at the time of his arrest. Jeffrey Montreal Lyles, 42, from Auburn, was arrested and charged with trafficking cocaine, trafficking methamphetamine, manufacturing a controlled substance, possession of marijuana in the first-degree, and certain persons forbidden to possess a firearm. Floyd and Lyles were taken to the Lee County Detention Center and held on a bond of $350,000 each. Also arrested at the same location were: Christopher Benard Pitts, 44, from Auburn who is charged with possession of marijuana in the first-degree and Tyravius Tyrail Smith, 23, of Auburn who is charged with possession of a controlled substance (hydrocodone). Both were taken to the Lee County Detention Center under bonds of $3,000 and $1,500. This investigation is ongoing and other arrests are possible.